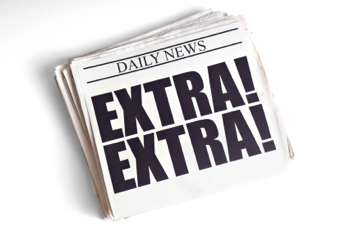 July 25, 2014—Here is what’s new in education news this week. NPR reports on Oakland-based Hack the Hood, a nonprofit that helps expose youth of color to careers in the tech world. Participants learn everything from coding to tech sales during their time with the innovative organization. Debunk a few college decision myths with The Huffington Post, which argues that reputation shouldn’t be your sole consideration. Check out The Chronicle of Education’s 2014 list of great colleges to work for. Ratings take into account compensation and benefits, diversity, work-life balance, and nine other important categories. The ACT shares information on a National Council for Community and Education Partnerships report, which shows that 95 percent of ACT-tested, low-income students wish to pursue postsecondary education. Only 59 percent of that population, however, enroll right after high school. A Sallie Mae survey has shown that many college graduates aren’t becoming financially independent right after school ends. Education blogger Joanne Jacobs has gathered tidbits of commentary and advice on the topic of financial dependence for recent grads when it comes to support from mom and dad. A new website called Student Achievement Measure is filling in gaps when it comes to college graduation data, says The Washington Post. While the government tracks graduation rates for first-time, full-time students who complete college at one school, new information hopes to give a bigger picture, including information on transfer students and those who take longer than six years to complete a degree. Angel Perez writes about the difficulty of finding the “best and brightest” for The Chronicle of Higher Education. He explains that, despite his mediocre-to-low test scores as a teen, his college and a few mentors saw hidden potential in a student who had the drive to overcome huge obstacles. When given a chance, he would eventually prove the statistics wrong.